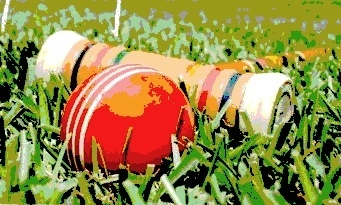 The inaugural San Marino Community Church croquet tournament was held on a sunny and hot Saturday morning on August 22nd. As a result of the event, over $500 was raised for school supplies for the youngest residents of the Union Station Family Center. Six doubles teams joined the battle. Those six teams were divided into two pods of three teams each. The preliminary rounds were a round-robin where each team played the other two teams in their respective pods. The winners of the games were the first team to stake out or the team with the most wickets and stakes at the end of 30 minutes. The top team from each pod then met in the final match. One pod was dominated by the team of Heidi and Scott Rasmussen of South Pasadena. They easily advanced after defeating the two other less-experienced teams in their pod. In fact, in one game the Rasmussens pegged out after only 15 minutes. The other pod was a family grudge match between members of the Mitchell family from San Marino. One team was captained by the event’s organizer Laurie Mitchell; another team captained by Laurie’s sister, Carson Bond; and the third team captained by Laurie’s husband, Chris. There was a three-way tie after round-robin play, but the team of Carson Bond and Laurie’s daughter Katie won the tie-breaker by having the highest total score from all games and so they advanced. The final match was a classic. The Rasmussens got off to a surprisingly slow start. But Carson was simply on fire, and she ended up running the entire court on her third turn! But her great fortune suddenly turned to disaster when the momentum of her hot shooting carried her to peg out her ball at the 15-minute mark. The wily Rasmussens capitalized on that misfortune. Heidi and Scott calmly pressed their two-ball-to-one advantage over Katie until they squeezed out a narrow 23 to 20 victory when the time limit was reached. 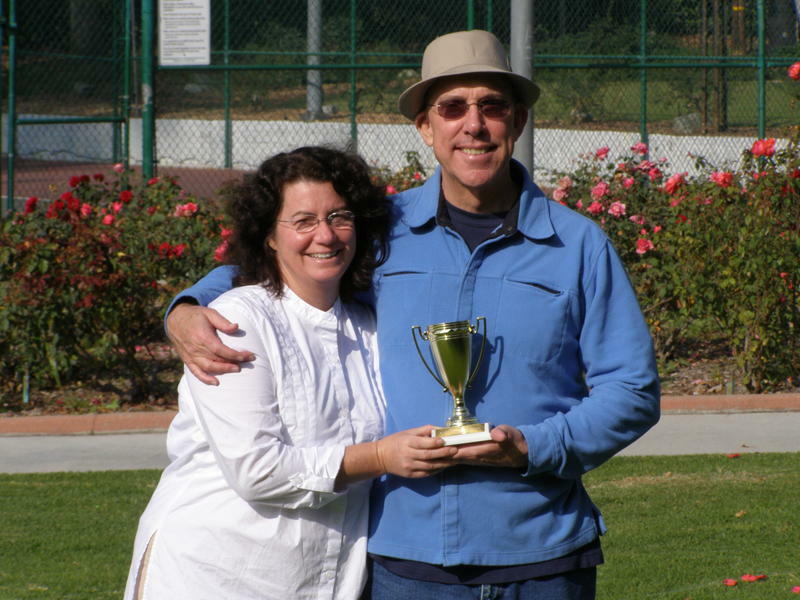 For their efforts, Heidi and Scott took home the victory trophy and made history as the first winners of what is hoped to be an annual event. Carson and Katie placed second. Owing to her grace and good humor during the entire event, Katie Mitchell was presented with the “Miss Congeniality” award. Measured by the amount donated to a good cause, and the fun experienced by those who played in the tournament, the event was a great success! Bravo Mitchell family.